.online belongs to Radix, meaning be online. As the network get more and more popular, "online" becomes a synonym for many websites. In the Internet era, "online" has become a lifestyle. That's why .online domain becomes more popular. In the ear when traditional industries decline, most off-line services have transferred online. .online is the domain shows the "online" concept best; therefore, as long as you go with this domain, regardless whatever business you are running, your site will have the time characters to catch users' attention. By far, the number of .online registered user is not very large, which means there are aboundant registration resources and a wide range of options. 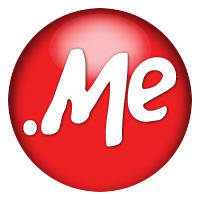 With the furthur developemnt of the Inetnet era, .online has great potential and huge appreciation space. .online has ectensive uses, which can be used for school websites, supermarket websites, and agency websites.